IlifeMediaBrowser is the PUP that uses misleading techniques to prevent removal. Use Reimage to locate malicious components and get rid of them faster than with uninstall instructions. A full system scan blocks virus reappearance and prevents traffic to malicious domains. 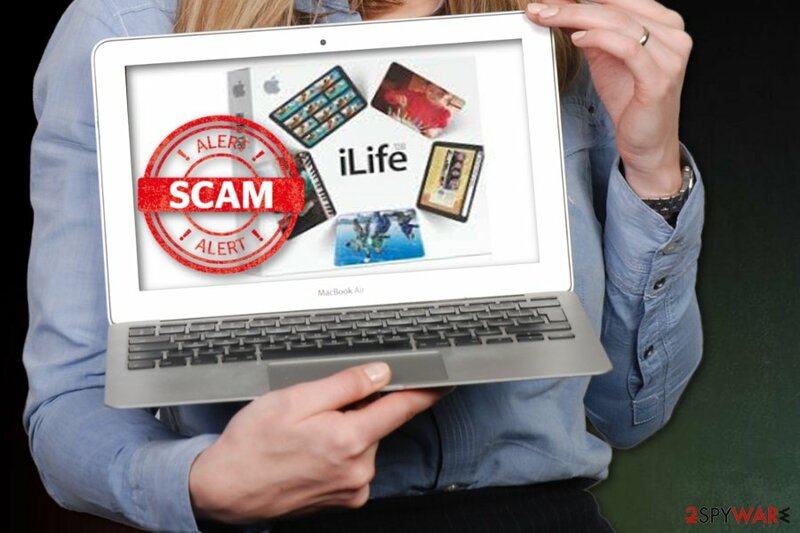 IlifeMediaBrowser is a silent intruder that affects Mac OS supporting devices. IlifeMediaBrowser is a legitimate Mac app that belongs to the GarageBand. It comes pre-installed and can be used to find audio or video content on the Apple computers. However, this application can cause issues after updating it to the 2.0 version, including errors, system crashes, and similar issues. Your Mac can become seriously slow when having this app installed and also running out of the memory. Additionally, if it happens that this program was misused by adware developers, it can start causing unwanted ads and redirects to sponsored domains. 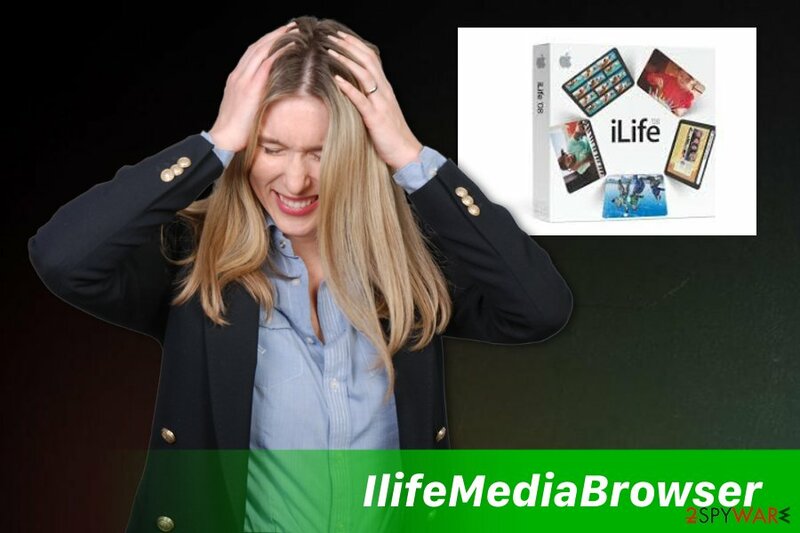 In this case, Ilife Media Browser starts operating as any other potentially unwanted program filling up your screen with commercial content promoting rogue sites or questionable products. It doesn't change your browser settings, but it may add unwanted applications and toolbars. IlifeMediaBrowser has been raising concerns because of several issues caused on users' computers. First of all, it can take up lots of computer resources and keep the generous amount of PC's memory space reserved. That's because this folder relies on different plug-ins used to import/export data from Apple software. Additionally, when it is updated to 2.0 version, it can interrupt you with different errors and system crashes. Some claim that the app displays coupon ads and similar content on your browsers but we haven't noticed such activity while testing IlifeMediaBrowser. The main reason to stay calm is that this is a pre-installed program that gets on the device pre-installed by Apple company. This tool is not harmful unless malware creators disguise their product behind the legitimate name. So, if you are not using the app, you can remove IlifeMediaBrowser because the app is not vital to a proper your PC's functionality. In this case, you will improve your Mac's speed by increasing its memory which is used to support the application. If you do not perform IlifeMediaBrowser removal, you will have to deal with computer's misfunction, system crashes or browser freezes. Having in mind that the software may be misused by malicious actors, there should be another reason to get rid of this app if you don't use it. Use Reimage for general system cleaning and scan your device to see if there is any malware hiding on the system. 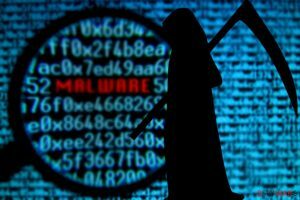 IlifeMediaBrowser is a potentially unwanted application that is related to an adware-type intruder. The problem with various software updates is that they are not always improving the performance of your device. However, you can uninstall such programs if you do need them on a daily basis and that should not affect your operating system in any way. Additionally, you can be tricked into installing programs that look like useful ones and promise an improved PC's work. To avoid them, researchers advise people choosing Advanced or Custom options instead of Default and Quick while installing freeware from the internet. This method allows you to see and de-select additional programs that might be unsafe. You should remove IlifeMediaBrowser and all related components by uninstalling the app from your device. This is important if you want to use our computer properly in the future. However, other intruders (adware, hijackers, other viruses) can try to use program's name to hide their presence on the system, so make sure you delete the main program and also check the system with one of these programs to make sure that your Mac is safe: Reimage, Malwarebytes MalwarebytesCombo Cleaner, Plumbytes Anti-MalwareMalwarebytes Malwarebytes. The most useful solution when dealing with apps that tend to malfunction is to uninstall the app completely and then download the latest its version or skip this step if you don't use the app at all. Bellow, we provide the steps to help you uninstall IlifeMediaBrowser in several minutes. After IlifeMediaBrowser removal, double check your computer. The full system scan will not only detect possible cyber intruders on the system but will also fix issues you may not know about and will improve the performance of your MacOS. Open the Utilities folder and locate Activity Monitor icon on the screen, double-click on it. Then, find the entry for IlifeMediaBrowser and select Quit Process. When dialog window pops up select Force Quit option. Click Go button again and then select Applications on the appeared list. Again find the entry for IlifeMediaBrowser, right-click on it and select Move to Trash. Enter the user password if required. Go to Apple Menu and find System Preferences option. Choose Accounts and click Login Items button. The system will generate the list of items that launch when the box is started. Find IlifeMediaBrowser there and click “-“ button. Go to Finder and select Go>Go to Folder. When you find Plug-Ins folder rename it to Plug-Ins(Disabled). ^ ILife. Wikipedia. The free encyclopedia. ^ Mobile advertising market: rising concerns about security, privacy, deletion and manipulation of data . CMFEnews. Latest industry news. This entry was posted on 2018-10-05 at 03:34 and is filed under System tools, Viruses. You can quickly scan the QR code with your mobile device and have IlifeMediaBrowser manual removal instructions right in your pocket. How did you remove IlifeMediaBrowser?